Mercury is a name that stands for the brand of American cars, part of the company Ford. Production was neglected for the sale of middle-class cars between the models “Ford” and “Lincoln”. Since January 2011, cars of this brand are not produced. Like many other companies, the emblem of “Mercury” has changed over the years. This name was invented by Edsel Ford, who is the son of the founder of Ford Motors Company – Henry Ford. The name was given in honor of the ancient Greek god of trade. He possessed dexterity, cunning, and speed. If you recall the mythology of ancient Greece, it was him who had sandals with wings on them. Of course, the emblem of the first car depicted the god Mercury; he was also a symbol of the brand. Choosing the name of the brand, the manufacturer made bets on high trade. For a long time, the brand was known for its performance, which could only be revived in 2003, but for a short time. Replacement occurred only in the late 60-ies. The ancient Greek god in the circle was replaced with an image of the cat’s head with an open mouth that denotes enthusiasm and vitality. At that time, the same symbol was used in the advertising of “Mensury Coher” muscle of the 1967 car produced. After more than 20 years, the emblem changed its appearance dramatically. Mercury cars were sold in the markets of the USA, Canada, Mexico and the Middle East. The first model of this brand was released in 1939 and was called “MERCURY8”. The production process lasted until 1942. Also during the Second World War, the company began to produce ambulances and light buses. “Mercury” produced cargo, compact cars, as well as convertibles. In 2000, the brand became a subsidiary of the Lincoln Company. 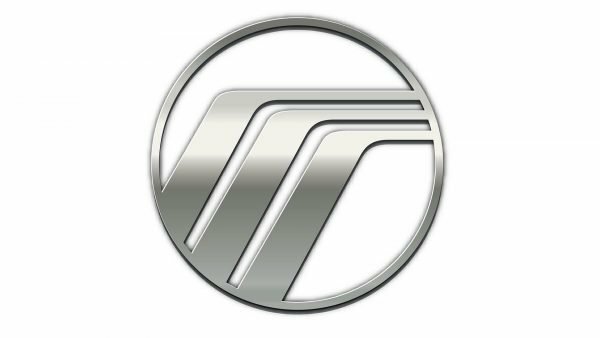 Since 2003, the Mercury brand has announced the gradual liquidation and transfer of employees to Lincoln. In the mid-1980s, the logo was replaced with a logo that looked like three curved lines of silver color, located in a full circle with a black background. It is the three lines that are stylized with the letter “M,” which indicates the name of the brand. It is worth noting that originally depicted graphic elements with an abstract image, which conducted an association with the brand, i.e., emblems, and then began to use the stylized alphabetic name – the logo.